Called ‘Other FIFA Events’ the package covers the broadcast of 13 events in 38 territories and includes all Youth FIFA World Cups. No value was given for the deal. 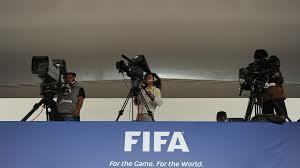 The EBU already has an agreement with FIFA for the Qatar 2022 World Cup. The new deal is an extension of an agreement first signed in 2007 and will ensure the FIFA events receive “significant” free-to-air coverage via the EBU’s public broadcaster membership. The deal covers multiple broadcast platforms. EBU Head of Football Rights, Pascal Fratellia, said: “As a continuation of our existing long-term partnership with FIFA, we are very pleased that we have been able to reach – on behalf of our Members – another agreement until 2022 for these exciting football competitions. The 38 countries covered by the agreement are: Albania, Armenia, Austria, Azerbaijan, Belarus, Belgium, Bosnia-Herzegovina, Bulgaria, Croatia, Cyprus, Czech Republic, Estonia, Georgia, Greece, Hungary, Iceland, Ireland, Israel, Kazakhstan, Kosovo, Latvia, Liechtenstein, Lithuania, Luxembourg, Macedonia, Malta, Moldova, Montenegro, Netherlands, Poland, Portugal, Romania, Serbia, Slovakia, Slovenia, Switzerland, Turkey and Ukraine.